To make your household move in Irvine’s Turtle Rock community easier, count on the customizable moving support of Coast Valley Moving & Storage! For over 40 years, our Turtle Rock movers have wowed Irvine households with our affordable yet high-quality relocation services. From partial pack-outs to white-glove move management, our Turtle Rock movers can handle your move with professionalism, expertise, and friendly care. Why Choose Our Turtle Rock Moving Company? No matter how far you’re coming or how far you’re going, our trained movers, packers, and drivers are equipped to get you there quickly and affordably. At Coast Valley, we believe that the highest-quality relocations are the ones customized to each household’s unique needs. That’s why we pledge to work closely with you to build a moving strategy that’s perfect for your family! We’ll never push costly services you don’t want—instead, we’ll listen to your needs and provide just the right Turtle Rock moving and storage services for you. Interstate Movers: Moving across state lines? Rely on the expertise of our experienced move coordinators and Wheaton-affiliated interstate movers in Turtle Rock. Packing Services: Enjoy an easier transition by having our skilled packers carefully protect, wrap, and transport your household belongings. Small Shipment Mini Movers: Not every moving project requires a huge truck—let us move your smaller shipments with the same professionalism and care! Storage: Need space for furniture, antiques, or extra stuff around the house? Our secure facilities accommodate short- and long-term storage for anything. 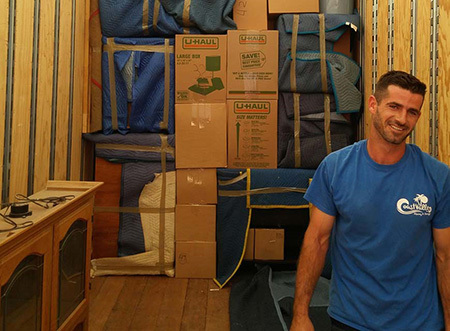 A household move can be difficult, but it doesn’t have to be! Get started with one of the most reliable Turtle Rock moving companies by contacting Coast Valley Moving & Storage today. Call us to speak with an interstate moving specialist, or fill out our brief online form now to request your free moving cost estimate!